Small back story: we got married in Canada as I was denied an extension on my work visa and I was madly in love with a Canadian. A week before I was due to leave the country to return back to NZ, we decided the best way to speed up the process of me returning to Canada, would be to get married. Naturally… Crazy? Yes. Dumb? No. Because it was a quick decision (I planned a wedding in four days – high five!) neither of our families could make it and my friends in New Zealand couldn’t either. Bit of an ask to get people to pay over $2k for flights at short notice 🙂 Due to the snappy turnaround of the nuptials, it was always the plan to have a less hectic, more carefully planned wedding, in New Zealand. Neither of us had a job that was bringing in super amounts of income, plus we were still catching up on the debt from setting me back up in New Zealand at short notice. And after not working for almost three months, by the time we did have money to burn (or just gently smolder and then pat out and put back in our wallets) there was only about three and a half months until the wedding. As well as that, we’d decided to move back to the North Island (we were in Queenstown) to be closer to my friends and family and to live by the beach. Knowing we might not have jobs for a little while, we needed to plan for that as well, financially. Needless to say, money was leaking into nooks and crannies everywhere we turned. 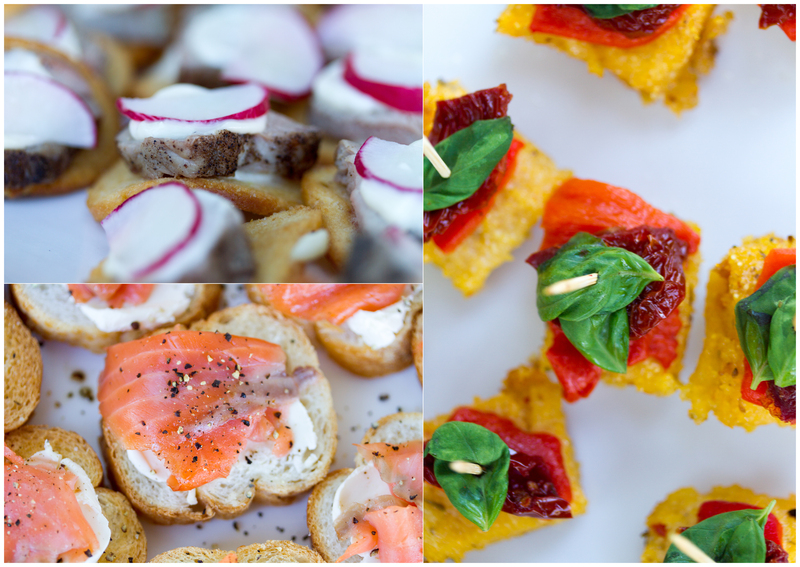 SO…to save money on the wedding, Scott came up with the idea of a pot luck wedding. At first I was like “no way are we getting our guests to bring the food! That’s one of the best parts of a wedding!” but I slowly warmed to the idea, the more I thought about how much money we actually needed in order to get the dress, the suit, the shoes, the booze, the decorations, the cake, the food, the hair, the make up, the photos….the everything! 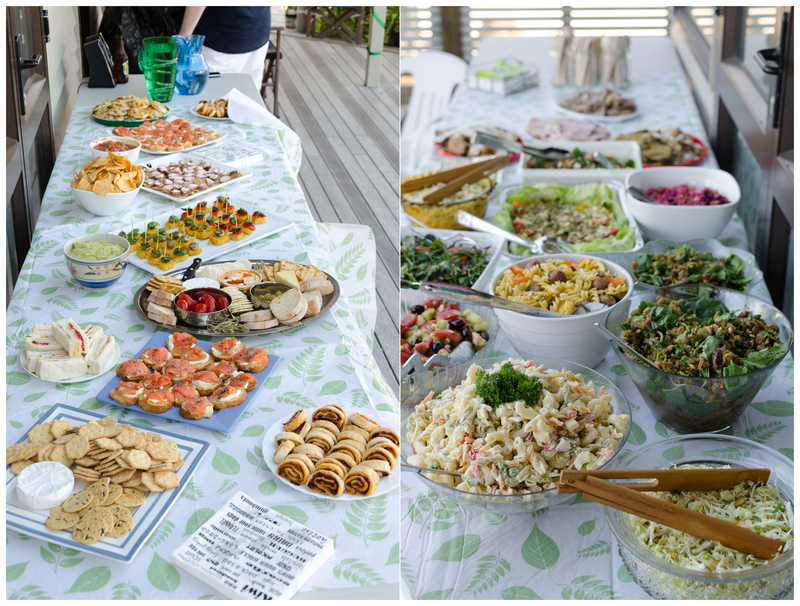 Since it was already going to be a relaxed beachy wedding, with dressy casual attire and no formal ceremony (as we were technically already married), why not make it even more Kiwi, and turn it into a pot luck? Most of the peeps I know are quite into food anyway, so I figured they’d enjoy the fact it was something they could get involved in as well. We saved up enough money for booze (too much booze in the end, not a bad thing! ), the dress (not an expensive one, but also not my fave. If I had a do-over, I’d not buy my dress online), the alteration for the dress, decorations, invitations and little bits and pieces that cropped up along the way. All in all, I would say our total spend was just over $2k. It helped that my Dad took care of the meat which my step-mum roasted at home before carting it to the location and the lady that made the cake/cupcakes said it would be our wedding gift. Both of these people, we offered to pay and they wouldn’t have a bar of it! Bonus. The photos were taken by my brother in law. Phil, and one of my besties boyfriends. Both of which we said we couldn’t afford to pay but we offered up booze instead. For the most part they were both just happy to help as they appreciated the fact that weddings are expensive and stressful and they are both just bloody good blokes. Will, the besties bf, in particular did a spectacular job and we couldn’t be more thankful for the amazing job he did – he assists for Natalie Morgan Photography and you can learn more about him here. The following photos are of the food and the cake/cupcakes – all Will’s handy work. Just looking at them still makes my mouth water AND we got so many comments on how amazing the food was compared to some of the catered weddings people had been too. Yay, go team! The biggest thing I learned from planning my wedding was that it was OUR day and we could do it whichever way we bloody well liked! And that people are only too happy to pitch and be involved on your special day. You may think that everything has to be perfect, and for the most part it does, but as long as you and your significant other are relaxed and happy, people are fed and watered – regardless of whether they made some of the food, then nothing else matters. Echinacea and Raspberry tea – because my nose is a bit stuffy and people seem to be getting sick. I blame the change in temperature. Getting chillier… nooo winter…noooo!!! Black coffee with a little bit of hot choc powder – because we have one of those Nespresso machines at my new job and it’s fun to use. I don’t really need the coffee (or the hot choc powder) but it’s novel. Water – because it’s water and I LOVE it. side note: Is it too late to say Happy New Year?